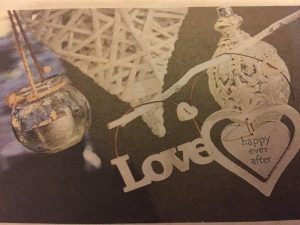 Posted October 13, 2016 by Josette Farrell in Features. Upon driving up to the Claregalway Hotel, the personal touch of a family run establishment is immediately obvious. There are beautiful displays of locally grown flowers to be seen everywhere. You enter the hotel and are struck by its modern yet classic feel. It is quite special in his layout and is very atmospheric. 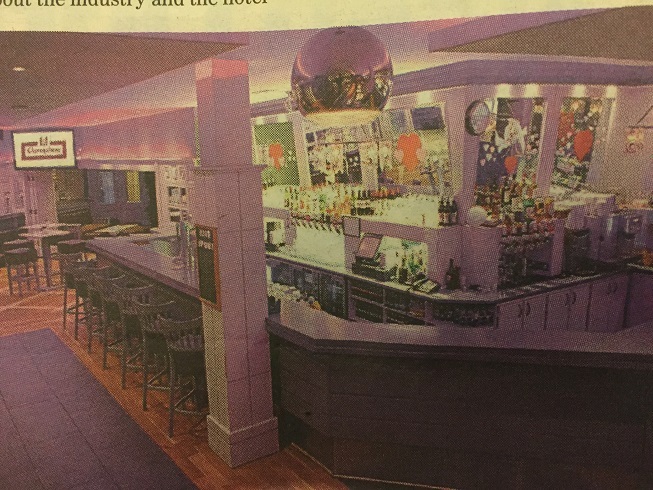 The hotel, which opened its doors in 2004, and is owned by Nora and Paul Gill, has cemented itself as one of the top wedding hotels in Galway and indeed Connacht. Hard work will always reap rewards and this was recently confirmed when the hotel scooped a prestigious award for Brides’ Choice Best Wedding Venue in Connaught. The awards, hosted by Mr2Be, Ireland’s leading online wedding website, recognise excellent quality of service, professionalism, and flexibility of wedding venues. 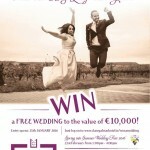 The awards are the only Irish wedding industry awards that are based on a detailed review process drawing on previous customers’ feedback, and entrants are judged on a range of criteria including professionalism and quality. Nora Gill has more than 25 years’ experience in the hospitality industry and has really found her niche as a top class wedding planner. The hotel now manages about 70 weddings per year and any couple who have been through the doors of the Claregalway Hotel will attest to Nora’s level of expertise and customer care. 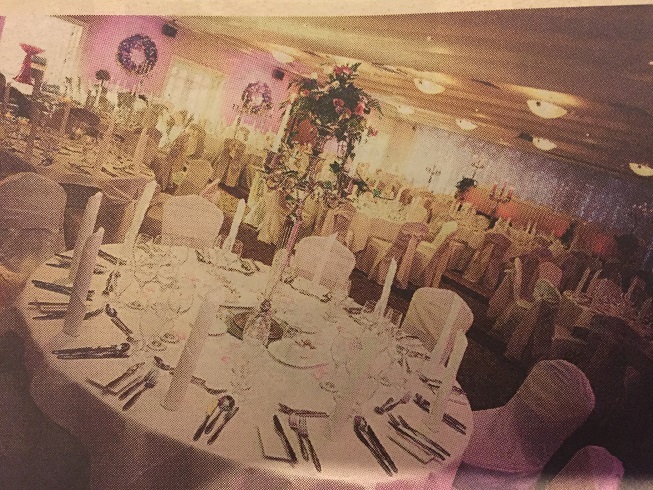 Her personal touch and attention to detail has certainly been a huge part in giving Claregalway Hotel is name as one of the leading wedding venues in the west. The hotel’s motto is that ‘excellence is not expensive, it is priceless’. 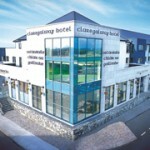 Claregalway Hotel certainly offers great value, serving the freshest of locally sourced produce in a venue of contemporary design with packages from €33.50 to €59.50. There are limited dates still available for 2017 and whether you are planning your wedding day at Christmas, or in spring, summer or autumn, the team have many themes and quirky ideas that will add to the many moments of magic you and your guests will treasure for a lifetime. An ideal time for couples to visit is Sunday October 16 when the hotel will host a Wedding Fair showcasing the best of wedding suppliers, including jewellers, car-hire, and photographers from 1pm to 4pm. There will also be a fashion show from Catwalk Modelling Agency between 3pm and 4pm featuring local bridal boutiques. Prospective wedding couples can view the Waterdale Suite, the rooftop garden, and the arrivals bar to get some great ideas for their wedding day. 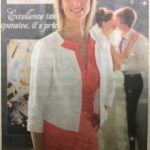 Nora Gill will be happy to discuss couple’s needs on the day and match them to one of the wedding packages, or she will tailor a bundle especially for each couple. The hotel’s accolades have not just been wedding related as it was also recognised recently at the Gold Medal Awards, which are the leading independent awards within the Irish Hospitality industry. 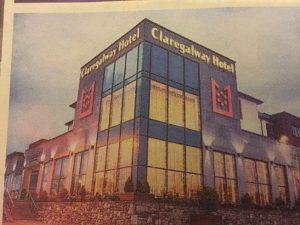 The Claregalway Hotel was announced the runner up in the best Three Star Hotel category and got the nod in the Favourite Places to Stay in Connacht Category. “I would like to think these awards all come back to the excellence in what we do and the value for money we offer,” says Paul Gill. 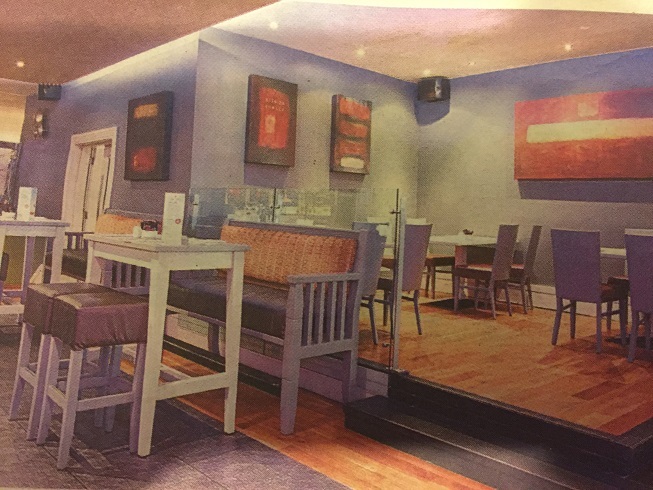 There is now a staff of 105 working at the Claregalway Hotel between full and part time roles, so the venus is a significant employer in the arer. And it is a business that is committed to supporting local events. An example of this is its sponsorship of the ladies and men’s County Football Championships. And even if your team do not win this year, there is still an excuse to let our hair down and party with Christmas just around the corner. 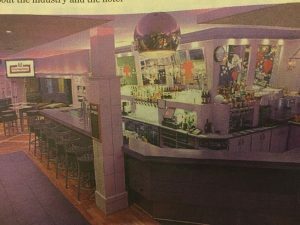 The hotel hosts Christmas party nights in its ball room and packages start from as little as €33 per head. This will include a four course meal, and plenty of entertainment. The venus is also available to larger companies that may wish to rent out the whole room for its festive celebration. For further information log on to www.claregalwayhotel.ie or call (091) 738390.